Shop around. Find a bank or credit union that's offering a competitive interest rate with the features you value the most — don't just go for the bank down the street or where you have your checking account (unless, of course, they are offering a great deal for bundling multiple accounts). For many consumers, the highest possible interest rate will be the biggest factor, but you'll also want an interface that's easy to use and solid customer service. If you want the ability to write checks, be sure to ask. Some money market accounts allow limited check-writing privileges, others may not. It's also important to know how many transactions you'll get before triggering a fee. Set your deposit amount. Once you've settled on a bank or credit union, it's time to figure out how much you want to put into your money market account. Money market accounts require higher minimum balances than savings accounts. A typical deposit could be as low as $500 but also could be as high as a $10,000 minimum deposit. At the same bank or credit union, the minimum deposit for a savings account might be $5. Transfer the initial deposit amount. Today this can be done quickly and electronically. Be aware of ongoing minimum balances to avoid fees. The goal for a money market account holder is to receive more interest with less risk. These accounts are historically favored by conservative investors who seek a guaranteed return on their money. They are the “boring” part of many a balanced investment portfolio. A money-market account is like an intermediate stage between a savings account and certificate of deposit. It's less liquid than a savings account, but more so than a CD. Finally, it's important to note that there's a difference between money market accounts and money market funds, which are more like mutual funds and are not backed by FDIC insurance. Further, you cannot withdraw your money as easily. In the end, I'm not sure it's important for the average person to use the mental energy to differentiate between money market accounts and other accounts. As long as you search for the best interest rates for your particular needs, you should be fine, regardless of whether your use a savings account or a money market account. 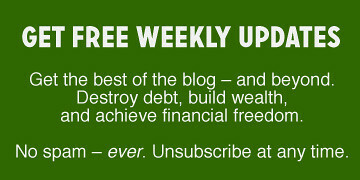 There are 51 reader responses to "How to Open a Money Market Account". Cash management isn’t one of my strong points. I find that trying to maximize interest can be a lot of work for very little return. Interest on $25k is probably enough to spend some time getting a half-decent rate. I’m glad you covered the difference between MM accounts and MM funds as that seemed to trip up a huge number of investors (those in MM funds but they thought it was same as MM savings account and lost their shirts) in the great recession. This article did a good job covering the practical aspects of a money market fund, but I found it had one gaping hole: It didn’t address WHY money market accounts pay higher interest than a regular savings account. As I understand it, a money market account is similar to a money market fund, in that the higher interest rate is supported by short-term debt. Of course, my understanding could be wrong, but if it is, this article didn’t do anything at all to help correct that. What a coincidence JD! I was just on the phone last night with a financial advisor at my bank, and she recommended I invest some of my money (part of my emergency fund) in their money market fund, becaus the MMF is earning about 1% interest, whereas my savings account is earning 0.8% APY interest. However, when I went on my bank’s website, the expense ratio listed for the MMF is 0.57%. Wouldn’t that bring the MMF’s interest down to around 0.43% interest, which would be LOWER than the interest earned in their regular no-fee savings account? If so, why would I invest in their MMF? The MMF 10-year return is 3.2%, which would make it worthwhile, but that’s not what the return is right now! Thoughts? Thanks!! I recently discovered an amazing find — a credit union that pays MM rates on a standard, free checking account — with no minimums! Needless to say, I switched to this credit union. To qualify for the rate (currently a whopping 3.16%) I have to do 3 things: receive electronic statements, have my paycheck direct deposited, and make at least 12 Visa debit transactions each month. The first 2 are no-brainers. I have had to change some habits to make the 3rd, but have done it. I guess they make enough on the Visa transactions to be able to pay a nice interest rate. Last month I earned $18 on money that previously would have just been sitting around doing nothing. If anyone lives in KY in the Louisville, Lexington, or Richmond/Berea areas, check out Park Community FCU. It’s great. The idea is that with a higher balance and more restrictions on transactions, the bank is better able to forecast the availability of funds to make more lucrative investments with it. In turn, they offer a slightly higher interest rate to compensate you for it. Thanks for the run down. I have never maintained a MM account, but based on the explanation, I would easily be able to handle one since I use my current savings account in a similar manner, i.e., higher balance, rarely more than two transactions a month. If I hadn’t JUST set up my auto savings plan with ING, I’d look into it a bit more. I’ll just leave it alone for now until I get bored and feel like moving money around again. The way you describe MMA’s is exactly how I market it to customers. I often have people ask to close their CD’s at maturity, who need the money but not right away. They get a decent interest rate and the ability to write checks and get an ATM card. 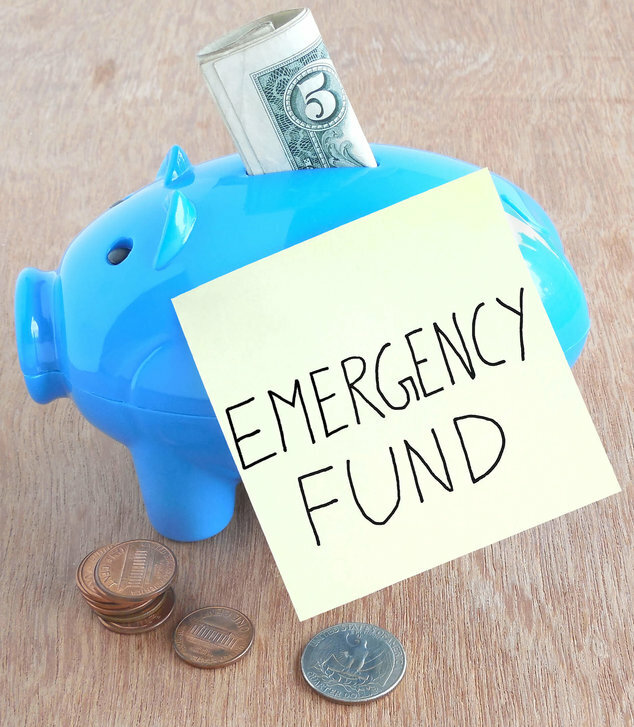 I also market it as a great way to have an emergency fund, since the excessive transaction policy is a deterrent from using it for daily expenses. Way to catch the uh, “catch.” Is this fund that your banker tried to talk you into FDIC insured? It wouldn’t make much sense to move money into an account that wasn’t to earn an overall return less than you are right now! There are plenty of banks out there offering decent interest rates that fluctuate with the market (just like this fund your banker tried to sell you) with all the protection of FDIC insurance. There’s a credit union (or two?) here in Portland that offers similar deals. My only hesitation so far to sign up is the hassle of switching banks and getting myself to use a debit card as I currently use only credit or cash. If you maintain a high enough balance in your checking account, making a switch like this definitely makes sense. I used to, but now am trying to do a better job of automatically shuffling money out to savings accounts. I have a money market account, which I have been using to stash some money for a major home remodeling project. At my credit union, the interest rate depends on how much money you have in the account–it’s more for over $25,000. When I actually got the work done, I did hit the withdrawal limit and had to cover the last check out of my savings account–fortunately, that wasn’t one of the really big ones. Your ING savings accounts (but not ING Electric Orange) is probably the same legal classification as the Money Market account you just opened. I think no matter where you bank at, make sure you check out all FDIC options at your level of savings. We had, for the past 7-8 years or so, maintained checking, savings, CDs, and a MM account. We always had to maintain, I think, a $10,000 balance in the MM account to get the higher rate. With the market going haywire as it has in the last few years, I was surprised when I went to roll over a CD, my banker said “You know, if you rolled all accounts into your savings account, you’d earn more in interest.” When she showed me the CD option vs the MM rate vs regular vanilla passbook saving, I realized that I was going to make 3 times what my money would earn at CD or MM. So, I went ahead and put a huge wad into our savings. She suggested that I check back from time to time to see if any special CD rates were available or if MM rates come back up. But one really nice thing is that..I closed out 3 accounts and so now it’s just checking, savings, and 2 CDs earning 4.5%. When it’s time to roll those over, I’ll see what the best interest option is then, and either close the CD account and add it to the savings or (cross my fingers) interest rates will be high up there again! Nope, not FDIC insured! Before this article, I didn’t know that any Money Market Accounts were FDIC insured. Good to keep in mind. Great post, I had no idea what they were either! @JD – I hope you did a little more research than just listening to the teller before opening this account. Cause that’s what it sounds like from what you stated above. Did you ask about low balance fees, monthly fees, etc prior to opening? Yes, I asked the basics before signing up. I needed to know how much I had to keep in the account, of course. Monthly fees aren’t an issue at the credit union. You’re right, though — it’s important to know account restrictions before signing up. First, I want to just say how much I love this blog! I have learned so much from it in the past year, it has been very inspiring! I even got my husband on board wanting to see money in the bank, instead of buying the latest must have of the moment! I wanted to add to what Pete was saying, about Rewards Checking Accounts. You really have to be disciplined keeping track of debit transactions, but its worth it! I’ve been shifting my cash into 6- and 12-month cds at HSBC Direct online. They seem to pay the highest yield (one of my cds is paying 4%), and transfers are easy. I also keep my emergency fund there, earning 1.65%. As far as FDIC insured… I think there has only ever been one money market fund that lost its investors money. Money market “funds” are not deposits and are therefore not FDIC insured. A money market fund is a pooled investment. It’s something you buy and sell shares of, not something you deposit in to and withdraw from. The interest rate (yield) is not set by a bank, it is set by a market. These investments have expenses and can (and several have) lost value. The trailing yields that are quoted are net of expenses, but you will likely find that higher expenses result in lower yields. Bank deposit accounts, whether they are called “savings account” or “money market account” (That’s “account,” not “fund”), will be FDIC insured if they are at an FDIC insured bank. These accounts are not pooled investments, but simply an accounting of the money you deposit along with a credited interest rate the bank sets. If a bank offers both a “savings account” and “money market account,” it’s just a way to distinguish two different sets of terms (i.e. what the deal is) for a savings account. It’s like “basic cable” and “premium cable.” Behind the scenes, it operates the same. It’s the exact same technology. With one you pay more and get more than you do with the other. That may or may not be a better value. The cable company just structures them as different deals (with different branding) in order to appeal to a broader range of customers. It’s the same thing with bank accounts. “Premium cable” does not mean anything unless you know what your cable company means by it. “Money market account” does not mean anything unless you know what your bank means by it. JD — I think some of your conclusions may be incorrect. Money market accounts don’t necessarily earn higher rates than savings accounts, and the highest-yielding accounts available still often are called savings accounts. If anything, the most common difference is that money market accounts generally have some sort of limited check writing or debit card payment ability, whereas savings accounts don’t. Thus, a money market account is more typically a cross between a checking account and a savings account, not a cross between a CD and a savings account. Since you need to take out the money for quarterly taxes, did you check the interest rates for 3 month CD’s and compare? You could do laddering with those. my bank looks at the balance, so that if you fall below the minimum for “money market” rates, you just get a smaller interst rate, but all of my checking accounts (mine, “ours” and my “business” account) all get some interest. I like the “interest float” I get for writing a check, and I like using cash, so I don’t think I would never be able to use a debit card 11 or 12 times a month… and if I did, it would probably negate the higher interest I would be getting on the rest of the money in the account! Great post on Money Market accounts. There were some good points brought up in the discussion about Money Market accounts. Bottom line, they’re really not much different than savings accounts. The main differences is accessibility and a superior interest rate. In my mind, these are ideal accounts for a couple of items. The first is a place to stash your emergency fund. The other is a liquid place to stash excess cash if you are not enamored with CD rates. If 6 month CDs are paying 2.5%, and MMs are paying 1.75% for 90 days, you might be better off putting the cash in the MM where it’s liquid, and you can keep an eye on CD rates to see if they get more attractive. This is off topic, but you mentioned your wife insisting on an EF fund when you were bad with handling money. That’s why I think separate accounts for a married couple aren’t always a good idea. Even if the wife is responsible with money, the husband’s actions can still affect her if he’s charging up cards or missing payments or has a low credit score. When they try to get a house loan or a car loan, they’ll pay more in interest. If anything happens to him, she’ll owe the creditors. That’s why I like joint accounts–we’re on the same page and have a snapshot of where we both stand financially. No surprises. It seems like your previous habits could have greatly affected your wife, despite her good habits. I use a money market account to keep my emergency fund in. It works pretty much like my savings account, except with a $1,000 minimum and a higher interest rate. I also have the option to write checks from it, but I haven’t done that. I disagree with the seperate account argument. My wife and I have always had seperate accounts. She pays certain bills and expenses and I pay others. After that we don’t worry about what the other does with their money. I guess some people don’t think this makes a good healthy relationship though. It works excellent for us!! One more alternative: Many credit unions and smaller banks (I’m talking regional banks with a dozen or so locations) offer so-called “Extreme Checking” accounts. There are usually some catches involved. My bank requires me to either do a direct deposit or a direct bill pay out of the account every month, receive electronic statements, and do 12 debit card transactions. In exchange for the hassle, they pay me 4.6% interest on a balance of up to $25,000. I’ve seen some offer as much as 5.05% interest. Of course you want to replenish the money you spend each month in order to keep from whittling down your savings, but this is the best combination I’ve found of liquidity, safety and interest rate. I get a better rate than a lot of CDs pay, it’s FDIC insured, and I can get at the money at any time. I’ve always used money markets, but more so in the current very low interest rate environment. In this economy, liquidity trumps yield, especially since that yield is so low to start with. One of the advantages to MMs is that they ride the rate curve up immediately. If you have money invested in a 24 month CD at 3%, but six months in rates rise to 6%, you’d have to do an early withdrawl on the original CD, losing interest, in order to take advantage of the higher yields. It’s unfortunate, but it can take months for rates to drop 1 point, but they can rise 2% in a couple of months. That’s another way liquidity is a benefit. Wanted to add that at banks, money-market accounts are FDIC insured, and at credit unions, the National Credit Union Administration (a federal agency) protects your cash on deposit. So in a money market, your dollars are government guaranteed if anything ever happens to the financial institution you select. You always want to find out if you will be hit with a monthly fee, should your balance drop below their minimum, and that’s in addition to losing interest you accrued during that time. The reason why MMAs, also known as high-yield savings accounts, offer slightly higher interest than savings accounts is because they put your money in a marketplace, “money market”, where banks and other institutions borrow from one another for terms of one year or less. Just wanted to clear up any confusion. There is no difference between a savings account and money market account. They’re both considered “deposit accounts.” It’s common for some banks to offer limited check-writing or debit card access to products they decide to call money market accounts, but they could do the same for savings accounts if they want. Regardless of check-writing capabilities, savings and MMAs are limited to six withdrawals per month. Money market accounts are so last season (as in 2006/2007)! Consider getting a rewards checking acocunt instead where you can expect to earn 4-6% interest by following a few simple rules. With a money market account you are wasting your money’s earning potential. As for myself, I have a rewards checking account from Redneck Bank (yes, that’s a real bank) and find it very easy to use. I will review it on my blog within the next week if you are interested. I’ve had a Money Markey account for a couple of years now. I think the main difference between the savings accounts and Money Market accounts is that most money market accounts allow you to write checks; some even offer debit cards. Both money market accounts and savings accounts have restrictions on the number of withdrawals per month. I’ve had a Money Market account for a couple of years now. I think the main difference between the savings accounts and Money Market accounts is that most money market accounts allow you to write checks; some even offer debit cards. Uhm…am I understanding this right? You’re saying a money market account in a credit union is a money market fund? Don’t think so… I think Dylan’s distinction is correct: a money market fund, such as Vanguard’s Prime Money Market fund, is not FDIC insured–it’s just another mutual fund. But a bank or credit union’s money market savings and checkings accounts are federally insured. I’ll check with the Guru Par Excellence the next time I visit the credit union to confirm this. I use a money market savings account for my emergency fund ($200 deposit/month) and a money market checking account for the credit-card piggy bank (transferring the amount allotted for discretionary spending once a month and writing no more than two checks on the account per month). Their rates aren’t great, but they’re sure better than anything else the CU is offering, short of a five-year CD. You’re misreading the post. I am absolutely not saying that a money market account in a credit union is a money market fund. I’m trying to point out there’s a difference between these two things. I’m saying they’re not the same thing. Great post JD. I hadn’t looked at money market accounts too much, opting instead for money market mutual funds, which were yielding ~5% when I opened them. It would be nice to move my emergency fund to an account that had a good yield and FDIC, or NCUSIF (in your credit union example,) insurance. Thanks for the post. Seems interesting. Not sure if money market accounts are available in India. Will need to research the same..
@Pete – I’m in Louisville and would love to learn more about Park Community FCU. Hit me up on twitter (@wscii). JD, two words: Smarty Pig. Google it. It is paying 2.75% apy, fdic insured to 250K. Set up a small goal, like $1000.00. Use an online savings calculator to see what needs to be taken out of your regular checking to meet the goal in x amount of months. Once you meet the goal you can keep contributing any amount of money and also contribute anytime to meet the goal faster. Keep it private. If it is public your friends and family may contribute to the goal and pay a hefty fee to do it. The owner pays no fee to contribute. It is a regular savings account out of Iowa and I learned about it on the Simple Dollar blog. I used to use a money market account through Discover Bank. I earned a great rate of 4.2% on about $25000. They dropped my rate to around 1.8 and I dropped them. I now have what is called access rewards checking where my checking account earns a whopping 3.8% and all my money can be in one place. If that is the case, then I should be depositing my hard-earned money in a Money Market account than just any regular savings account. Although I think one should also keep a regular savings account to keep money at bay in case of immediate need; because as it’s been said, it has limited transaction restrictions. I use a Money Market Mutual Fund instead of a MMA to “up” the risk and reward scale a hair. It beats 1.6% and I can write some checks if they are at least $250. I forget how many I can write a quarter or year because it never comes up. I have between 3-6 months expenses FFEF and it currently makes about $7/mo. This beats using a credit card for lifes little moments and paying interest instead of recieving it. The idea of using a money market account as a complement to a checking account is right on target. What’s amazing is that the interest rates involved are competitive with short-term CD rates, but without the lock-up of capital. Point well made. In the scramble for the best yield, it’s always worth providing yourself some room to maneuver. I know this article is about ‘Money Market’ accounts, but as it has been mentioned before, that can be whatever the bank wants. I decided to close my Money Market account with Citi and open a E-savings, after noticing the Money Maket’s yield declined. Guess what, now the E-saving’s APY has also declined. Great! Well, I had my eyes on smartypig.com for a while, there APY has been over 2.50%, and as high as 4.3%, as far as I can find. Higher than plenty of Certificate of Deposits out there. Now sure, you cannot go to a branch and withdraw your money the same day, like other regular savings account or money market accounts, but if you can wait 5-7 business day (there is the chance the reverse ACH redemption, where you return your funds to your original bank account may be faster) it maybe worth your time to start an account with them. The big thing for smartypig is that it helps ‘Establish a Savings Account & Goal’ and ‘Meeting Your Goal’; That is ok, but I am more excited about the APY. They always seem to have highly competitive ones and I am not willing to open a new account periodically. Unfortunately interest rates are declining everywhere.